"But you are a chosen generation, a kingly priesthood..."
"And they sung a new canticle, saying: Thou art worthy, O Lord, to take the book, and to open the seals thereof; because thou wast slain, and hast redeemed us to God, in thy blood, out of every tribe, and tongue, and people, and nation. And hast made us to our God a kingdom and priests, and we shall reign on the earth." "And hath made us a kingdom, and priests to God and his Father, to him be glory and empire for ever and ever. Amen." Ordinary Christians share a common priesthood. We are all priests who can offer intercessions, praises, and spiritual sacrifices. But the very scriptures quoted above that talk about the universal common priesthood imply that there is a non-universal one as well. Because these verses reference an Old Testament passage. "And you shall be to me a priestly kingdom, and a holy nation. Those are the words thou [Moses] shalt speak to the children of Israel." So it isn't just the Church which is a kingdom of priests. Israel was a kingdom of priests, too. But that did not stop Israel from having a special, MINISTERIAL priesthood. In fact, if you keep reading in Exodus 19: 21-22, you will find God telling Moses, "Go down, and charge the people: lest they should have a mind to pass the limits to see the Lord, and a very great multitude of them should perish. The priests also that come to the Lord, let them be sanctified, lest he strike them." So even in the very same chapter God is calling the whole nation a kingdom of priests, there is still a separate, ministerial priesthood. This priesthood in Exodus 19 was not the Levitical priesthood. That wasn't created until much later in Exodus. This one was not founded on the Law of Moses, but predated the Law, meaning no one can say it was only God's pattern to have special, ministerial priests under the Mosaic economy. God had priests long before the Mosaic law, as indicated not only by this priesthood in Exodus 19, but by Moses' father-in-law, Jethro, and by Abraham's contemporary, Melchizedek. So today, in the Church, we have Jesus as our high priest and we are all individual priests. It is the same situation that existed in the Old Testament. There was a single high priest at the top, and there was the universal priesthood of all Old Testament believers at the bottom. But in addition to those two, there was also that middle, ministerial priesthood that was ordained and served Israel full-time. Again, we have Jesus as our great, high priest at the top, and there is the universal priesthood of all New Testament believers at the bottom. 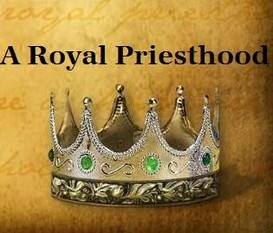 But the Bible indicates there is also a middle, ministerial priesthood that is ordained to serve the Church full-time.